Thinggaard, Frank and Lars Kiertzner - Determinants of audit fees – Evidence from a small capital market with a joint audit requirement: The International Journal of Auditing (2008), 12, p. 141-158. Thinggaard, Frank and Jesper Damkier: Has Financial Statement Information become less Relevant? Longitudinal evidence from Denmark: The Scandinavian Journal of Management 2008 ; Vol. 24, Nr. 4, 01.01.2008. s. 375-387. Thinggaard, Frank (Principal co-author), Alfred Wagenhofer (Principal co-author), Lisa Ewans, Günther Gebhardt, Martin Hoogendoorn, Jan Marton, Roberto Di Pietra, Aracelli Mora and Ken Peasnell - Performance Reporting - The IASB's Proposed Formats of Financial Statements in the Exposure Draft of IAS1: Accounting in Europe 2005 ; vol. 2, s. 23-45. Thinggaard, Frank - Mark-to-market accounting, hedge accounting or historical cost accounting for derivative financial instruments? A survey of financial analysts in Denmark. I: The European Accounting Review. 1996, 5, 1, s. 57-75. Thinggaard, Frank og Hans Henrik Edlund, Når selskabsretlig kvalifikation bestemmer regnskabsmæssig klassifikation I: Nordisk Tidsskrift for Selskabsret. 2010 ; 01.01.2010. s. 106-118. Frank Thinggaard and Sven-Arne Nilsson - Fair values ved første indregning i regnskabet? : en vurdering af argumentationen i IASBs Discussion Paper (1) og (2): Revision og Regnskabsvæsen. 2007 ; vol. 76, nr. 4, s. 12-18 og nr. 5, s. 26-33 and Balans 3 og 4/2007. These papers were awarded ”best papers 2006/2007” by the Swedish journal Balans. Frank Thinggaard earned a cand.merc.aud (Msc Busisness Economics and Auditing) degree from Aarhus School of Business (ASB) in 1987. He worked three years as an auditor after which he returned to ASB as a PhD student. He was awarded the PhD degree in 1993. FTH worked as assistant and associate professor in 1993-2003 at the ASB, during which he also took a supplementary journalistic exam. 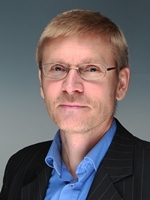 In 2003-2008 he switched to Aalborg University as Professor of Financial Accounting. FTH re-joined the ASB in 2009 as Professor of Financial Accounting and has since served as Program Coordinator for the Msc Business Economics and Auditing program. FTH has taught a variety of accounting courses on e.g. IFRS regulations, Group Accounts, and International Financial Accounting. His research interests are centered around the use and relevance of financial reports, accounting regulation, and subjects related to the audit profession, such as the use of joint audits. FTH is also an experienced lecturer at the executive education. He is currently a member of the Accounting Council under the Danish Commerce and Companies Agency, and he was formerly a member of the European Accounting Association’s Financial Reporting Standards Committee.